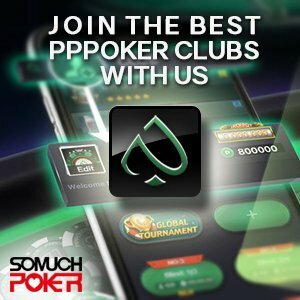 With live poker tournaments becoming more and more popular in Asia, one of the most thrilling contests is the race to become the Player of the Year. 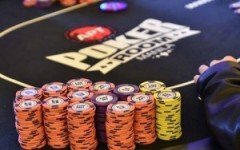 For several years, the Asian Poker Tour POY competition has been one of the hottest in the Asian circuit, offering lucrative rewards to the winners, er well, to UK's Samad Razavi, that is, who has impressively dominated the leaderboard for the past four years. This year, the APT has added more prizes, making the APT POY one of the most exciting battles to witness throughout the year. Up until this year, the APT has rewarded the top three players of the APT POY leaderboard with the winner receiving a slew of prizes including $10,000 of APT Main Event buy-ins. This year, the APT POY first place finisher will continue to receive the same prizes, however, the second and third place rewards have been removed and replaced with APT Regional POY awards. What this means is, the top APT RPOY finisher from Japan, Korea, China, Philippines, and International (from the countries not mentioned) will each be awarded $2,000 worth of APT credits. With these new rewards, not only will the APT POY competition be a battle for first place, but also a battle to be the best player from their respective country / bracket. Just two months into 2016 and the APT has already concluded three poker festivals, namely the APT Kickoff, the Okinawa Poker Cup (APT accredited event), and the APT Cebu. Akin to last year's start, Japan's Iori Yogo is currently leading the APT POY charts with Razavi running a close second. A quick flashback, these two players dominated the leaderboard last year with Razavi eventually taking the gold and Yogo the silver. This year, Yogo has already earned three titles with a total of five ITM's, and is also currently the APT RPOY Japan leader. Although Razavi has claimed only one title so far, he has an astounding 13 cashes and is currently the APT RPOY International hotdog. Next in the standings is Japan's Tetsuya Tsuchikawa who is holding strong in third position. Tsuchikawa has cashed 9 times and has gotten very close to a trophy several times. Korea's Soo Jo Kim is also on fire this year, four APT trophies won with a total of 7 cashes, landing him in fourth position overall and first in the APT RPOY Korean standings. Rounding out the top five is Singapore's Lim Yah Loon with 8 cashes so far. Loon is clearly one to watch out for as he was a newcomer last year, attending the APT Philippines 2015, and then went on to win the Main Event. For the APT RPOY Philippines bracket, Christopher Mateo is in the lead with one title and a total of three cashes but poker pro Lester Edoc is right at his heels with six ITM's and just a few points behind. At the APT RPOY China standings, Bing Cui holds the torch for her country having won a Deep Stack Turbo event at the APT Cebu. The next APT poker festival is the APT Daegu in Daegu, South Korea. This is one of APT's newest destinations for the year. It will run from March 23-31, 2016. Following that is the highly anticipated APT Philippines 2016 on April 13-21, 2016 at Resorts World Manila. With these upcoming events close at hand, the APT POY will surely see some interesting mobility so stay tuned for our future updates. Davidi Kitai: the most underrated tournament player?